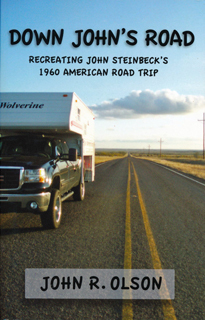 Retired newspaper editor and radio journalist John Olson recreates John Steinbeck's Travels with Charley in his own book Down John's Road (2011). 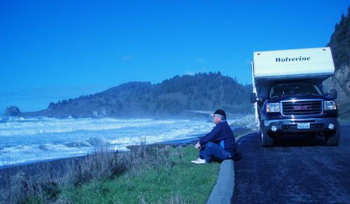 Driving a GMC truck camper for 80 days,12,673 miles, and through 34 states, Olson meets zany characters at Walmart parking lots, picks up a hitchhiker in Arizona thumbing his way to Egypt, jokes with convicts, eats with the homeless, and chases a moose in Maine. Comparing and contrasting Steinbeck's iconic 1960 book with America five decades later Olson ponders the same question as Steinbeck did - what are Joe Average Americans like today? If you are interested in finding out for yourself, Down John's Road is available through the Bainbridge Public Library Local Authors collection.